Why is Gateway Arch National Park a National Park? The National Park Service manages 417 sites, of which 60 of them are designated as official National Parks. There are National Historic Sites, National Memorials, National Seashores etc. National Parks are the flagship of these sites. 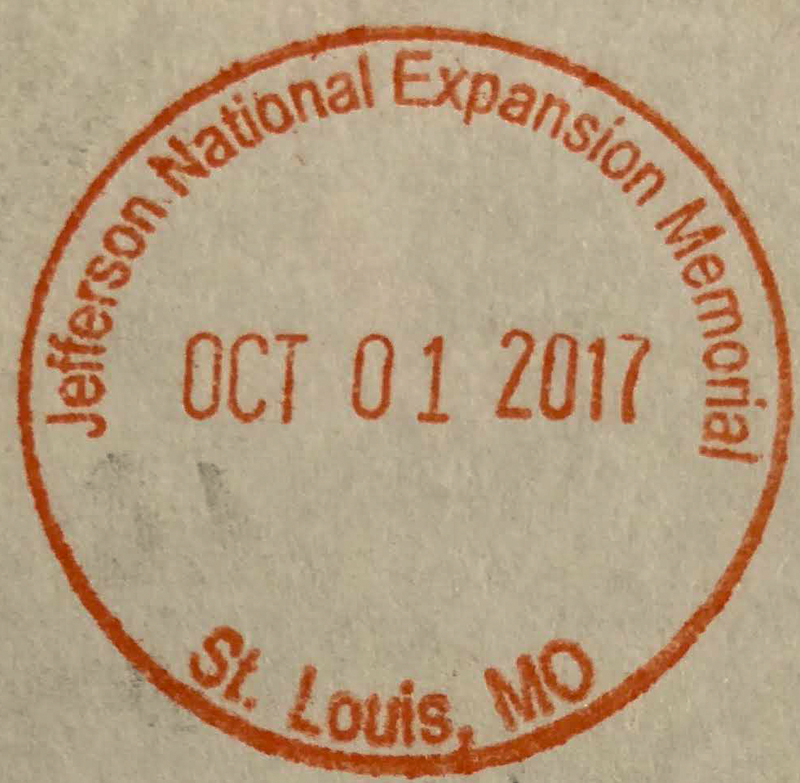 On February 22, 2018, Jefferson National Expansion Memorial became Gateway Arch National Park. There is nothing natural about Gateway Arch National Park. It doesn’t have a “variety of resources.” There is no resource to protect. It is in the middle of a large city, with a modern man-made object as its focal point. 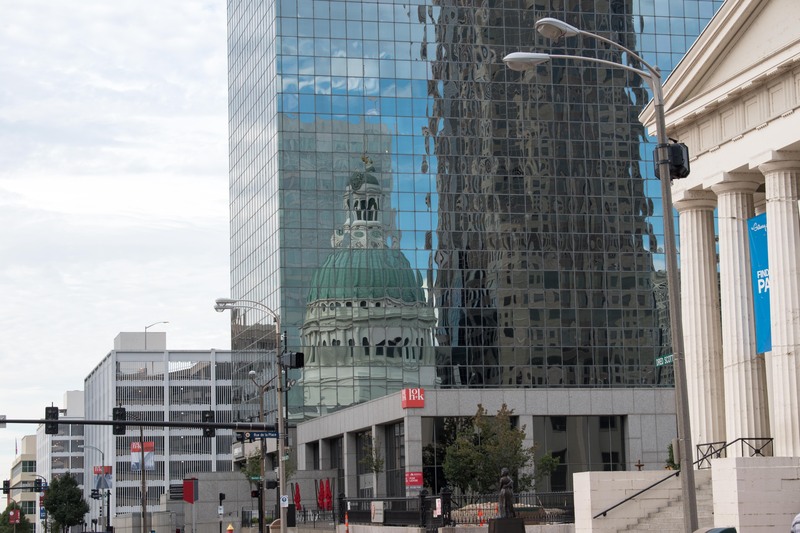 The park consists of the Gateway Arch park and the Old Courthouse where the Dred Scott case was heard. That’s it. It does not encompass large land or water areas. 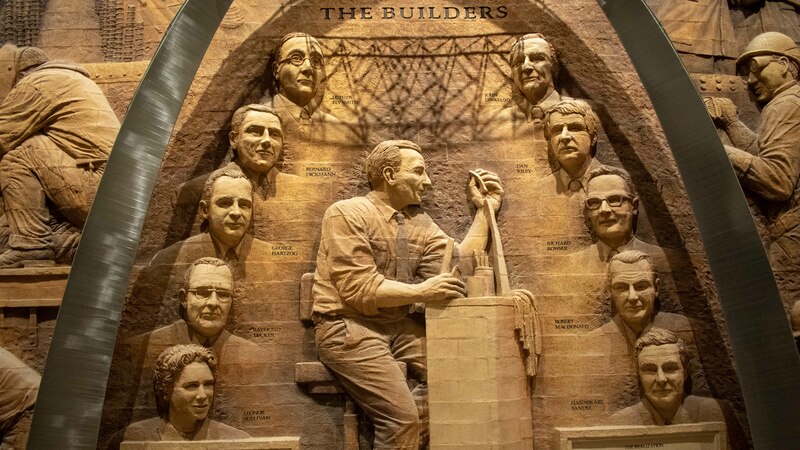 The title National Memorial was perfectly fine for this wonderful testament to the spirit of America, the crucial role the Louisiana Purchase and the westward expansion played in building the United States, in both physical and cultural terms. Why did it become a National Park? We’ll get to that later, but first, let’s talk about the park itself and our visit to it. The arch, completed in 1965, commemorates the role Thomas Jefferson played in the westward expansion of the United States. It is 630 feet tall and wide on 91 acres of land between an interstate and the Mississippi River. Gateway Arch is the tallest structure in Missouri. 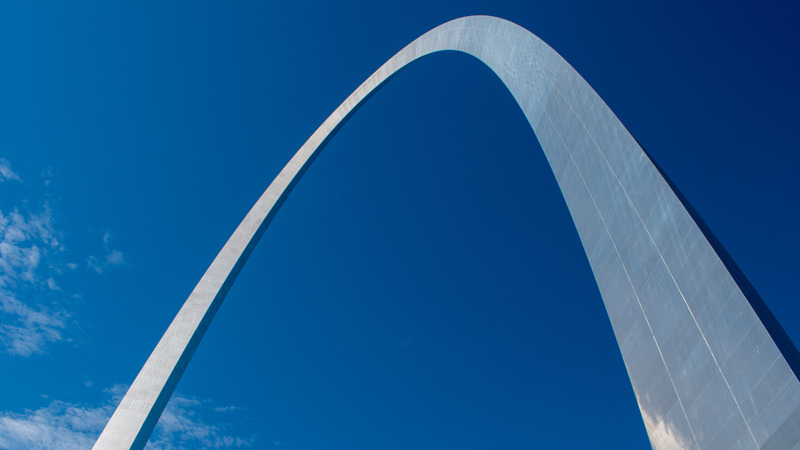 The arch is one of the iconic symbols of the United States that embodies the adventurous spirit of America. 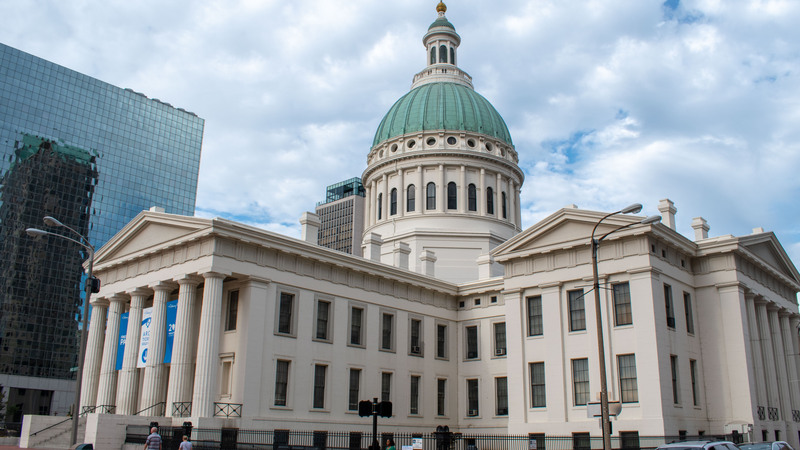 The Old Courthouse, a short walk from the riverfront park, is one of the oldest structures in St. Louis. This is where the Dred Scott case was heard. He sued to free himself from slavery in 1847. Ultimately, he was granted his freedom by the United States Supreme Court in 1857 that laid the foundation for the civil war. The arch dominates the riverfront landscape and St. Louis. 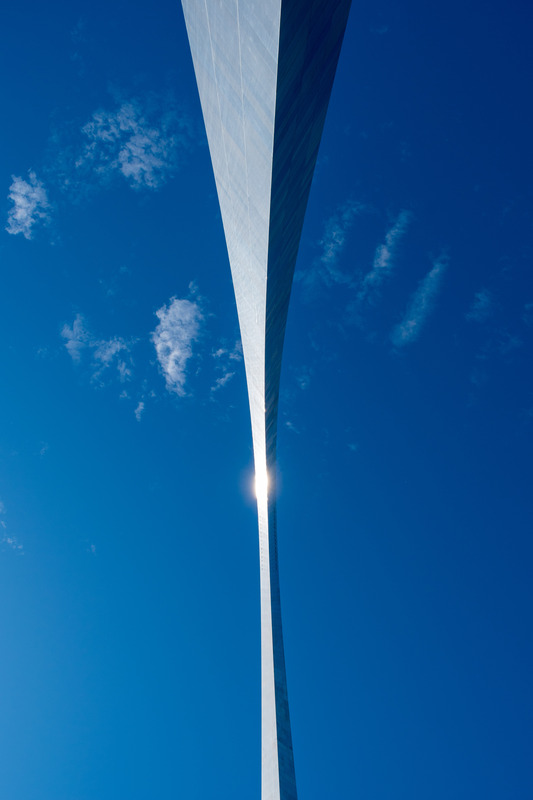 It is the most recognizable structure in St. Louis and at 630 feet, towers into the sky. The park itself is very nice, right on the Mississippi river, on par with other nice riverfront city parks, but nothing too special. The constant traffic noise from the nearby interstate distracts from the tranquility of the riverfront. Multiple trails surround the arch itself. A recently completed overpass over the interstate made it easier to walk from the park to the Old Courthouse, part of the Gateway Arch National Park, now only a 7 minute 0.3 mile walk away. Under the arch, in between the two legs, is the recently renovated museum that re-opened in 2018 as part of the dedication of the new national park designation. 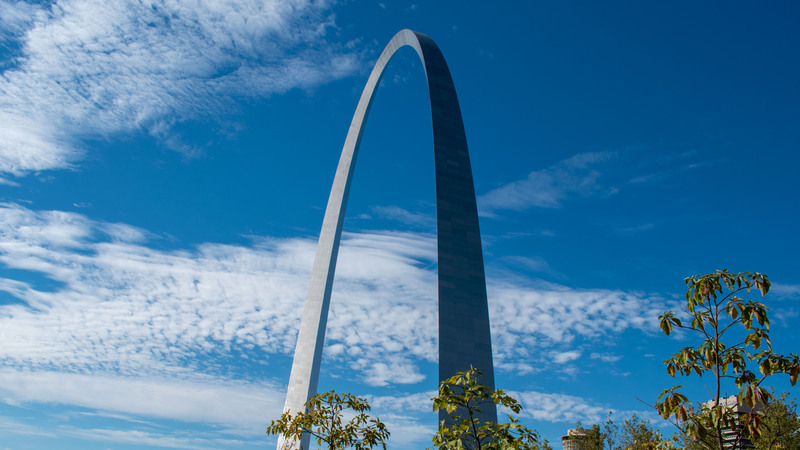 The museum has exhibits of Jefferson’s vision for westward expansion, life in colonial St. Louis, the new frontiers, and the story of the arch itself. There is a film on how the arch was built that was very interesting to watch. This is an excellent museum for the spirit of the west, the important role of Jefferson and St. Louis played, and the history of the arch itself. The arch is beautiful in its simplicity. It naturally draws the eyes to the sky. The top of the arch is a room with small windows that holds 160 people. There are two “trams” that go between the base and the top, one on each leg. Eight capsules with five seats each form the tram. The capsules are cramped, only five feet in diameter and the only view from the tram is the dark interior of the arch. Most of the time, the view is the staircase for maintenance and emergencies. The trip to the top takes four minutes. The capsule stays horizontal as it moves up, rotating a total of 155 degrees. The trip down takes three minutes. 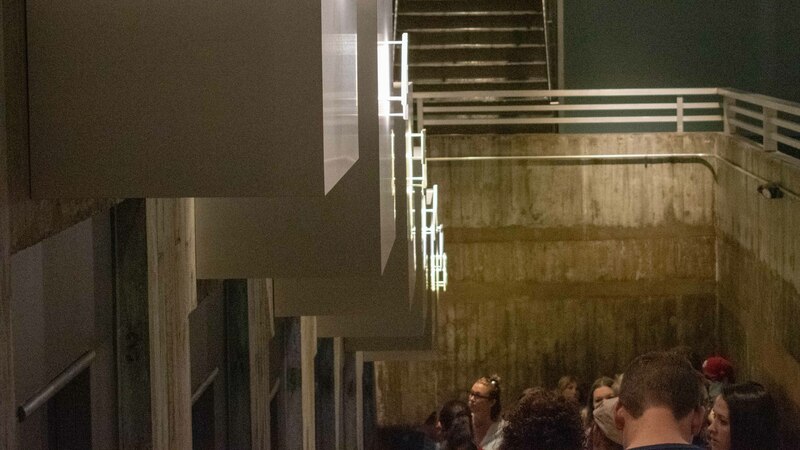 At the top, there are small windows on both sides, one overlooks the Mississippi River and Illinois while the other side overlooks the city of St. Louis with Busch Stadium and downtown in clear view. It’s like looking from an airplane, not a skyscraper. You have to crouch down to look out the window but you can stay as long as you want. The space is pretty small so you’ll have to wait your turn at the window. It can feel cramped and few stay more than 15 minutes at the top. The view from the top is fantastic, especially the St. Louis side. It’s the St. Louis’ version of an observation tower. 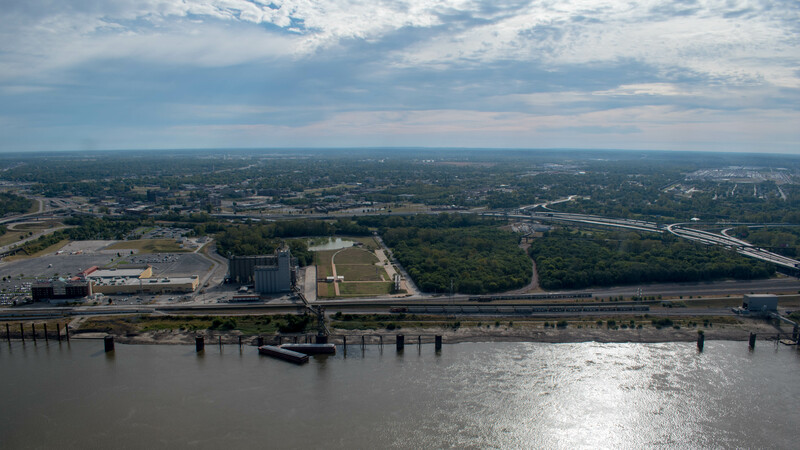 East St. Louis, across the river in Illinois, is more industrial and has many factories and docks while the St. Louis side is all city. The original room where the Dred Scott court case was heard is no longer there because they discovered a structural problem shortly after the court case and had to renovate it by dividing the room with a hallway to shore up the structure. The tour today shows some courtrooms and the history of this very important case that ended in the United States Supreme Court and the bloody civil war. It has a lot of historical significance. Does it fit the definition of a national park? For all the symbolism and historical significance, Gateway Arch should not be a National Park. It was perfectly fine as a National Memorial. There are three other official National Parks that have historical significance as part of their emphasis but all of them also have resources to protect. They also have a much larger area that requires preservation. Mesa Verde National Park celebrates the strange cliffside dwellings of the ancient Pueblo Indians in a beautiful natural setting of 52,000 acres that requires preservation. Dry Tortugas is a historical fort in an area of 64,000 acres that protects marine life. The smallest national park before Gateway Arch is Hot Springs National Park, also in an urban setting but has 5,500 acres with two mountains that preserves the natural hot springs that spew out water from thousands of years ago. While all three has historical significance as part of its attraction, even the smallest previous park – Hot Springs National Park – is 60 times bigger! Gateway Arch National Park does not have any natural component. It’s more like the Washington Monument or the Lincoln Memorial, both are National Memorials. It’s 100% man-made. It does not fit National Park Services’ own definition of the flagship National Park status. Why did it become a national park? In one word: dollars. This was a cynical ploy to attract more tourism to St. Louis. Don’t get me wrong, the arch is a nice place to visit and does celebrate a key part of American history but by making this an official National Park, it really dilutes the brand of National Park. The press release for the grand opening of this newest National Park made no mention of the reason for the name change, just the process of congressional approval and the President signing the bill. None of the rangers I talked to at other national parks tried to defend it. Most just shrug their shoulders and avoid the topic! We actually visited this park in 2017, before it became an official National Park. We have a stamp for it as a National Memorial. Do you think this counts as part of our visit to all official National Parks? Do we have to visit it again? Maybe we’ll go back just for the great BBQ in Missouri! Gateway Arch National Park is unlike any other official National Park. It is fundamentally a National Memorial, like the Lincoln Memorial or Mount Rushmore. It’s nice enough to visit and it’s fun to ride the tram to the top for a bird’s eye view of St. Louis. The Old Courthouse is interesting from a historical perspective. The museum is nice enough but none of this rises to National Park status. Have you visited Gateway Arch National Park? Leave a comment below on your experience. One day is more than enough to visit this park. Get your tour tickets early. Visit the museum, watch the film on the construction of the arch, take the tram to the top, linger for 15 minutes, come back down, walk to the Old Courthouse and take the ranger-guided tour. If you have the interest, take the riverboat tour on the Mississippi. All of this would take much less than a full day. 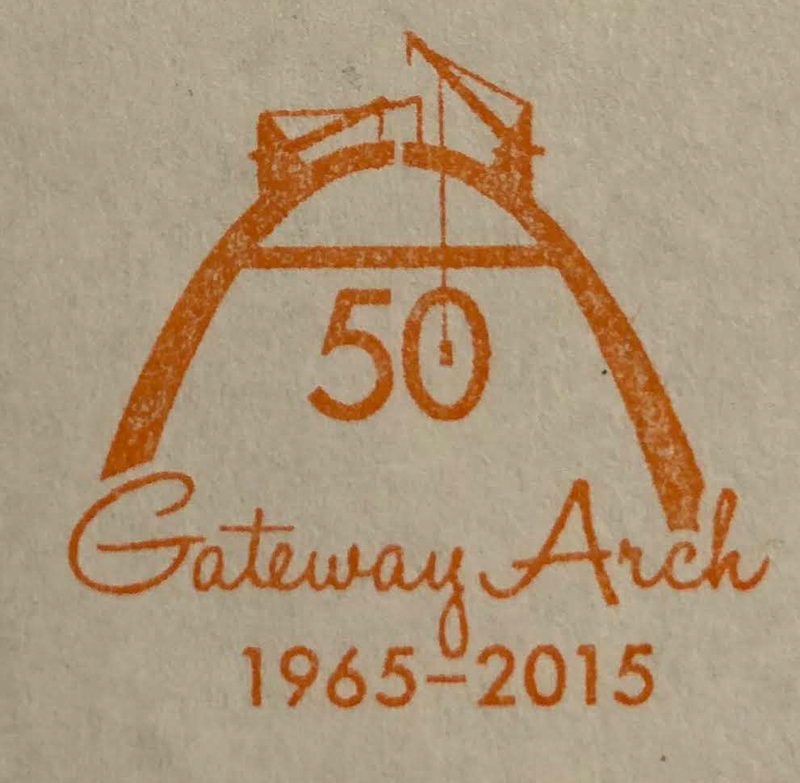 Get your tour tickets early, especially in the summer, at gatewayarch.com. Tickets are available for the tram to the top, the riverboat cruise, and the movie. Combination ticket for all three attractions is $34 per person. Show up at least 30 minutes for your tram time to get through the security check. Take the ranger-led tour at the Old Courthouse. 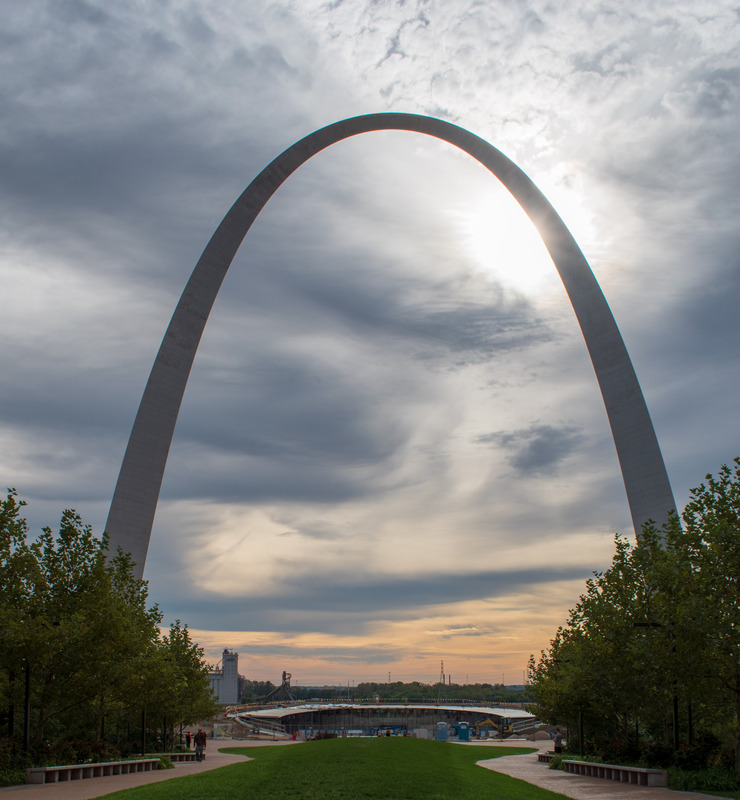 Take the picture of the arch from the St. Louis (west) in the afternoon so the sun is not behind the arch. Entrance Fee: None, but tours costs up to $34 per person. Yes, it should have been kept a National Memorial and not upgraded to National Park status. And for the reason you speculated is spot on, money is always at the root of most things related to man. It seems like a nice place to visit, and since I’ve seen it in many pictures I would like to see it for myself.